If you’ve looked at the latest craft cocktail offerings in almost any bar, you’ve more than likely noticed an increase in the use of whiskey, specifically bourbon. The U.S. is in the midst of a so-called bourbon renaissance. In 1964 Congress declared bourbon to be America’s native spirit. Its production has increased more than 170 percent since 1999, according to the Kentucky Distillers Association, driven largely by premium small-batch and single-barrel brands. While Kentucky is the world capital when it comes to bourbon production, there are two intriguing new brands that have their roots in South Florida. By the time he went to college at Indiana University, he was also legal age to drink in the U.S. Discovering that whiskey was big in Indiana too, Reed says the difference was that it was bourbon, not rye; bourbon is made primarily with corn, which provides a sweeter flavor. The base of the American Barrels bottle resembles a shotgun shell, an embossed rattlesnake wraps around the glass, with a military-style dog tag hanging from its neck. Made from 60 percent corn, 36 percent rye and 4 percent malted barley, it smells like butterscotch and wood; grain forward. High in alcohol, it has a long, warm finish with a bit of citrus and oak. He sold his first bottle to the Fort Myers–based Cigar Bar a little more than a year ago and has steadily expanded, all while playing athletics and pursuing his degree. Indiana is not only a hub for bourbon drinkers; it’s a good place to distill the spirit, according to Lenny Roberts, founder of Spirit of America Bourbon. His father, Mike Roberts, is legendary when it comes to developing brands in the world of spirits, and his son isn’t too far behind, working with popular names like Tito’s Vodka. He distills in Indiana, where the climate is similar to Kentucky, and wheat is grown year round. Wheat matures quicker during the distilling process, making this bourbon taste older than it is. Spirit of America is 51 percent corn, 45 percent wheat and 4 percent malted barley. Lenny calls it “100 percent American from grain to glass,” meaning every component of the packaging is also made stateside. He describes the blend as “a unique mash with an excellent taste profile; no rye, it’s a sweeter, smoother bourbon.” At 86 proof, it smells of vanilla and spice. Going down the hatch you’ll find it smooth, with cinnamon and a tobacco finish. 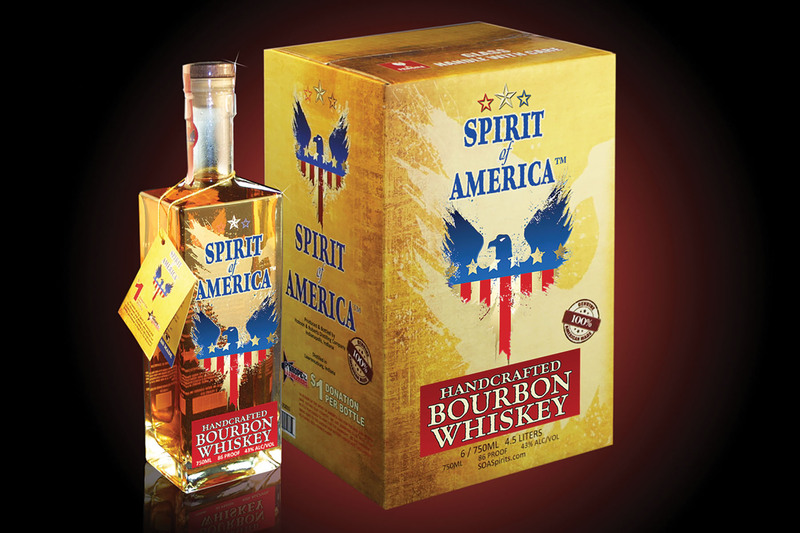 Spirit of America was released last fall in Florida, and the company donates $1 of every bottle ($40) sold to Hope for the Warriors, a nonprofit organization aiding wounded service members and families. While these two Florida-connected bourbons are distinctively different in taste, both taste older than their age, are affordable, easy to spot on the shelf and exemplify a national pride that is the foundation of bourbon.